We had just started over the bridge, toward my party, when the famously cheerful “Don’t Jump” Ad clicked on. I’ll admit that I’m a cover whore when it comes to picking books – and a bookcover that had a whole bunch of different words on it, all with various copyright and trademark nomenclature cause my eye. Reading the description (a society where you are charged for every word that you utter after your “Last Day”) made me even more intrigued by the premise. Although, honestly, somedays I think it would be interesting to live in a world when people were limited in what they could say. I know that I’ll be interested to see how the author develops the world and background but I can’t wait to read it. Sometimes there are books that just stick vividly in our minds and even a year or so after reading it – you can recall what happened in certain parts. For me, Unwind, the first book in this trilogy was like that. So I was excited to see the second book come out late last year…I pre-ordered it and everything…and then it sat, gathering dust on my bookshelf. 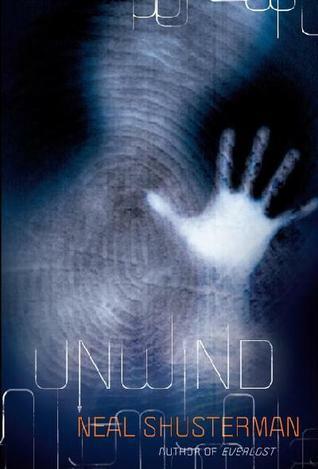 I wanted to read it, but was too scared to, for fear that my memories of Unwind, would be ruined by a not so good second installment (I mean, it had been like 4 years since Unwind came out). Reviews among my friends were split – some loved it, others found it ok, but the majority of the reviews had the word BUT in them…like something was missing and that was concerning to me. However, I finally sucked it up and read it (or I think devoured might be a more appropriate description). But moving on – the one thing I really liked about UnWholly was how it took the same issue, but looked at it from a wider perspective. While Unwind really focused on the micro-issues of the kids who were subjected to being Unwound, Unwholly focused on them, as well as society. I liked the touches of written ads (very similar to those we see during elections) campaigning both for and against unwinding and the various “groups” who were contributing for/against it. There was also a lot more history involved in this installment. 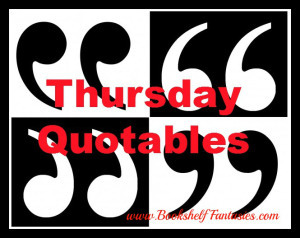 Plus, Shusterman introduced Cam – who might be one of my favorite characters in the series so far. He is the complete opposite to an Unwind – someone that has been created from parts of kids that were unwound. It was kind of freaky (for lack of a better word)…but he was certainly intriguing. I can’t wait to read the third book in the trilogy that is due out later on this year and see how he ties up all the bits and pieces. Overall, I gave UnWholly a solid 4 stars. When I was putting together my list of books for this challenge, I knew that I wanted to include some Ayn Rand because her name had been mentioned so often in the 2012 election season. However, the sheer size of Atlas Shrugged and the Fountainhead scared me. But Anthem coming in at only a couple of hundred pages seemed do-able (and to test my mettle, I added fountainhead in one of my other categories). Anthem fit well into my dystopia theme – although the year is unmentioned. When I heard that, my ears pricked up, because I realized while there was the ego that we refer to as he’s so egotistical, I thought about the ego theory developed by Freud. I’m not sure which one specifically she had in mind as she was writing the book because I think both could work – so that was an intriguing thought. For a book that was written back in the 1930’s/40’s – I appreciate that she didn’t write a specific year for the setting, just used an undisclosed future – because I’ve found if they set a year, and then you read that book after the setting and stuff hasn’t occurred it takes away from the intended affect. I have a hard time figuring out who exactly I would recommend this to, because it wouldn’t be to most of my reading buddies. Maybe anyone interested in philosophy; people who are looking for thought-provoking reads…I shall have to ponder that some more. Would I read this again – I don’t think so, but it was intriguing and now I am kind of curious to see what Rand wrote in the Fountainhead…but i’m not quite ready to read it yet – maybe in the next year or so. Even with my abundance of reading, I need to review my critical thinking skills before tackling it. When it comes to writing dystopia type books, the world building and understanding why things are the way that they are is key to the plot and the resolution. 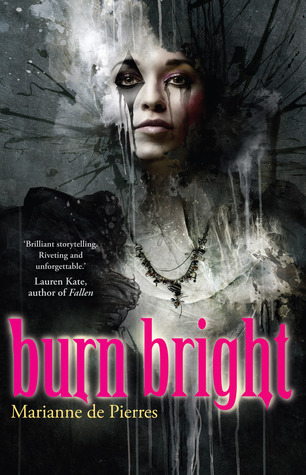 Unfortunately, in Burn Bright, the world building was just sub-par and that resulted in the book overall, while having an interesting premise, just not being all that intriguing. As soon as I started reading, I felt like I was confused – why was everything dark? Even a simple question like that, from what I recall, was never really answered and my confusion only built from there. I felt like I never really got to know the characters. Retra was, for lack of a better word, a bumbling idiot – there were many times through-out that I just wanted to reach into the book and beat her about the head. You could tell that she had been isolated all her life because of how she acted, but even then, when you compare her to someone like Tris from Divergent, who had had a similar upbringing and was able to adapt and overcome in various scenarios, Retra essentially remained the same until she wasn’t…and even when she changed her name to Naif, her personality didn’t change. I kind of think that Ixion was supposed to be a play on a dystopian form of Never Never Land from Peter Pan, but I would prefer to be one of the lost boys with Tinkerbell, rather than partying on Ixion. Overall, I gave it 1.5 stars (but i’ll round up to 2 to be nice), and I likely won’t be continuing the series in the future – too many other good books and not enough time to read them.